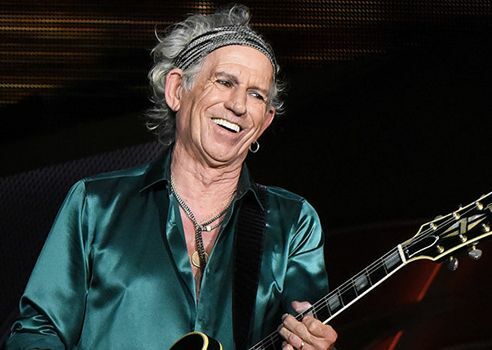 You may dismiss the Rolling Stones as old-time rock ‘n rollers, druggies or a group of has-beens, but it turns out that Keith Richards’ writing advice is surprisingly wise…. I’m old enough to have been a seven-year-old when the Beatles appeared on the Ed Sullivan show. (“Those boys have hair like girls,” chided an elderly friend of my mother’s who was over for dinner that night.) But I’m young enough to have been mostly oblivious to Woodstock, Altamont and the death of Jimi Hendrix, all of which occurred before I hit high school. Still, when Keith Richards — one of the rebellious bad boys of the Rolling Stones — wrote his autobiography, Life, in 2010, I resolved to read it. I promptly forgot about that promise until last month but remembered just in time for my most recent holiday, which wrapped up a week ago. Here are some of the things that surprised me. Richards was shy around women. He was a choir boy. And a boy scout. And he became a heroin addict because he hated fame. But what surprised me the most were his sophisticated thoughts about writing. Here are five writing lessons you, too, can learn from Keith Richards. When people ask me how to become better writers, I always start by suggesting that they read more and read more mindfully. At this advice, they often look at me quizzically, as if to say, “it’s that simple?” There’s nothing simple about it. Reading takes time, reading mindfully, longer. We all learn by imitating those who went before us. Here’s how Richards describes his relationship with his masters: “You were supposed to spend all your waking hours studying Jimmy Reed, Muddy Waters, Little Walter, Howlin’ Wolf, Robert Johnson. That was your gig. Every other moment taken away from it was a sin.” Writers can just change the names: Truman Capote, Harper Lee, Ray Bradbury, Toni Morrison (and many, many others). Writers often figure they need a cataclysmic revelation to write anything that’s meaningful or worthwhile. Instead, I like the way that Richards finds possibility in the smaller moments. As he says, “you only really need a little sparkle of an idea and before the evening’s over it will be a beautiful thing.” I especially like his use of the word “sparkle,” suggesting something that is both brief and delightful. If you are a writer, you’re always a writer, and your writing should have a place at the back of your mind, all the time. Here’s how Richards puts it from a songwriter’s point of view: “Somewhere in the back of the mind, you’re thinking about this chord sequence or something related to a song. No matter what the hell’s going on. You might be getting shot at, and you’ll still be “Oh! That’s the bridge!” and there’s nothing you can do; you don’t realize it’s happening. It’s totally subconscious or whatever. The radar is on whether you know it or not.” I love his expression about radar — a strong, invisible force that guides our way. Interesting how the bad boy of rock and roll sounds almost religious when he says that, isn’t it? Does Keith Richards’ advice give you any satisfaction? We can all learn from each other so, please, share your thoughts with my readers and me in the “comments” section below. Anyone who comments on today’s post (or any others) by Sept. 30/17, will be put in a draw for a copy of Becoming an Academic Writer by Patricia Goodson. Please, scroll down to the comments, directly underneath the “related posts” links, below. Note that you don’t have to join the commenting software to post. See here to learn how to post as a guest.